When the Land of Lincoln needed a new CIO this fall, Illinois-native Kirk Lonbom couldn’t have been a more obvious choice. With two years as CISO and more than 15 years of experience with the state government, Lonbom had the right credentials for the job. So, it was no surprise when Gov. Bruce Rauner tapped Lonbom to head the Illinois Department of Innovation & Technology as state CIO. 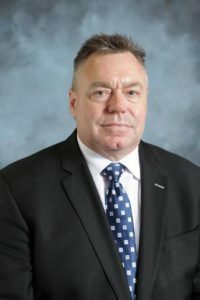 Though he’s only held the CIO title for a few months, Lonbom has already built on the programs of his predecessor and launched his own initiatives. In an interview with MeriTalk SLG, Lonbom shared his plans for 2018 and the lessons he learned during his tenure as CISO. MeriTalk SLG: Last year was a busy year for you–how are you settling into your new role? Kirk Lonbom: I’m feeling very positive. I had the great opportunity to be part of the leadership team as the CISO. So, I was already super plugged into where Illinois is headed. Becoming CIO has been an awesome opportunity. I feel our department is extremely well postured for advancing the state. And, frankly, I’m really excited about what we’re working on this year. Besides having familiarity with the key players in the Illinois state government, what skills did you develop as CISO that help you succeed as CIO? Honestly, one of the most helpful skills is outside of the technology sphere. I’ve focused a lot on team and consensus building. Back when I was CISO, I met with all the directors and secretaries of state agencies. In my first 60 days as CIO, I made a point to repeat that process. I reintroduced myself and spoke with state leadership about the role of our agency. I also wanted to hear about their top priorities and some of the challenges their agencies were facing. I wanted to build that person-to-person connection. As a state, we have done tremendous work over the past couple of years to develop a high-level strategy. Right now, my focus is on formalizing that strategy in the same manner that I worked to formalize our cybersecurity strategy as CISO. We want to make sure that our entire workforce knows that we’ve heard them, and understand their priorities. That also applies to our cabinet-level secretaries. We’ll be releasing a formal strategy within the next 60 days. State governments are always changing and evolving. What changes are underway for your office? Though we have some incredible leaders in place, we’ve currently got a few positions to fill. Mike Wons, our first state CTO, recently left for the private sector. So we are looking to bring in some new talent. We’re also establishing a new Chief Services Officer. The Chief Services Officer will focus on ensuring that we’re delivering quality, timely, and value-added services across the enterprise. We want to be a world-class service organization and this new position will help make that happen. Another big focus for us is big picture strategic planning, so we’re establishing a Chief of Strategy and Planning under our organization, as well as a Director of Digital Transformation. Digital transformation isn’t a one-and-done project, it’s an ongoing effort. So, we need the right type of leadership to lead the charge. I believe we’re building something great in Illinois and we’re looking for incredible leaders. So, as we push out these opportunities, I hope people seriously consider helping us build something great in Illinois. What are your big projects for 2018? Is your team launching any new initiatives or projects in the coming year? I think we’re moving in the right direction and executing on the governor’s priorities in terms of overall projects and strategy. Our enterprise resource planning effort is a huge priority for the state, so we’re continuing to work on it. We want state agencies to use common platforms. So, we’re currently in the middle of a roll-out phase to get all of our agencies on a common financial and human capital management platform. Our goal is to unify the way we do our finances as a state, as well as improve the way we manage our resources and reduce the overall cost of IT. So, enough about IT. Illinois is in the midst of a rough winter. 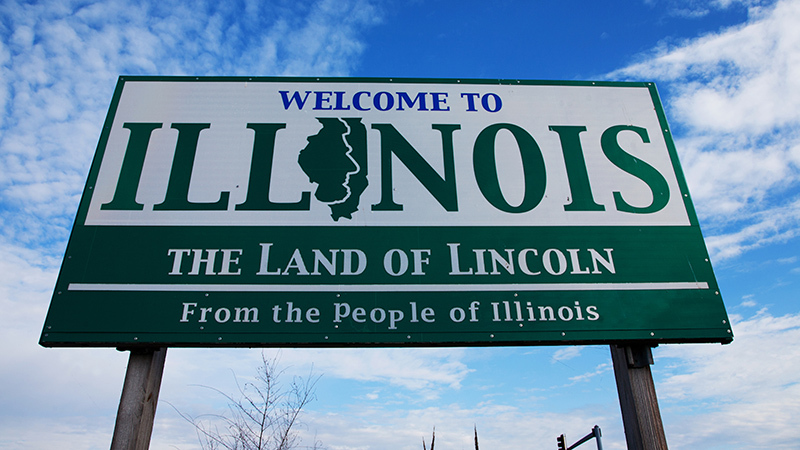 From one Illinoisan to another, what’s your favorite part about living in the state? I actually like the change of seasons! Although, the cold weather over the holidays was pretty brutal. Aside from that, Illinois has been my home for my whole life. I just really love the state. Anyone tough enough to face Illinois winters his whole life, and enjoy it, is surely tough enough to lead the state in IT modernization and innovation.